We’d love your help. 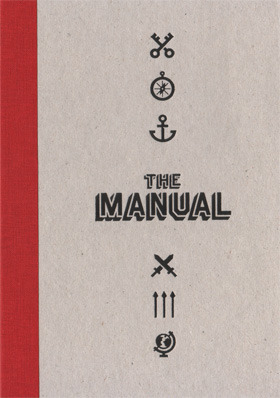 Let us know what’s wrong with this preview of The Manual, Volume 1 by Andy McMillan. To ask other readers questions about The Manual, Volume 1, please sign up. This is a collection of essays ostensibly about web design, but a few ascend to more than that. You can’t talk much about design without eventually talking about human beings, because design is the intersection of humans and something made. And you can’t talk very deeply about humans without digging into the human spirit. In that way, the best essays become about the deeper spirit and desires of humanity. So often, that’s the thing that design, and by extension, art, is trying to ease. The best This is a collection of essays ostensibly about web design, but a few ascend to more than that. You can’t talk much about design without eventually talking about human beings, because design is the intersection of humans and something made. And you can’t talk very deeply about humans without digging into the human spirit. In that way, the best essays become about the deeper spirit and desires of humanity. So often, that’s the thing that design, and by extension, art, is trying to ease. The best essay is easily Frank Chimero’s The Space Between You and Me. I’ve been a fan of Frank’s writing for a long time because of his easy style that nevertheless doesn’t skimp on the emotional content. Frank puts his heart in not only his writing, but his design, and as another essayist says in the collection, writing about design lays a path for other designers to follow. It’s important that someone be able to describe why they do what they do, instead of knowing they do it for some ephemeral inner reason. As Frank says, it’s profound. And human. “Technology is complicated and shallow, but people are simple and deep. Our true needs are not complex.” That’s what we need, not only in tech, but everywhere. To be understood, because our needs aren’t complex. - The emotional seat of our brain is the amygdala. […] It can receive sensory input but the amygdala has no language. That means we can have an emotional reaction without words to something we can see. - Clients say they want a window in a wall when what they really want is to eat their breakfast in the sunshine. - The AUDIENCE is the true client. - Try to understand people, lest they surprise you with their smiles. - Teaching—or collaborating—with kindness and respect allows the other person to learn or act without fear. …make each other stronger. - You see, for the like-stricken, it’s hard to say no. Everyone and everything is interesting. - In a letter to F. Scott Fitzgerald, Thomas Wolfe said there are two kinds of writers: putter-inners (like himself) or leaver-outers (like Fitzgerald). - …it’s easy to say no to all the other choices that will present themselves if you truly love something. Finding that thing is the hardest part. - Reading acts as a catalyst… it introduces new inputs and a steady stream of provocations. - …the tendency… can be to rush headlong into making when thinking may have been better invested first. - Developing the craft of the written word, being able to articulate why what you are doing works, is pivotal to growing. Finally got around to purchasing the first three issues of the Manual and I'm wondering what took me so long. Issue 1 was fantastic. A combination of great writing and careful editing resulted in a really enjoyable book with every section providing food for thought. I particularly enjoyed the sections from Simon Collison, Dan Rubin, and Frank Chimero. I also was really impressed by the quality of the book itself: looks great and lovely attention to detail. This series feels like a therapy for people mainly working for web.